The Old Theatre Royal has been proud to stage performances in Bath for over 350 years. Most recently in 2014, we presented the Beggars Opera. John Gay wrote The Beggars Opera in 1927. It became one of the best loved and most popular pieces of the 18th Century theatre. The opera combined a story of love, deception and corruption with popular ballads, hymns and folk tunes of that time. This was also one of the favourite stage performances in Bath during the 18th Century. It was a sell-out when first performed at the Old Theatre Royal in 1753. It was also performed almost every season thereafter as it was such a popular show. The final Georgian performance at The Old Theatre Royal took place in 1805 and starred Benjamin Incledon. Incledon was one of the foremost tenors of his time, who had started his career at The Old Theatre Royal. He moved to London in 1790, but often returned to take part in stage performances in Bath. 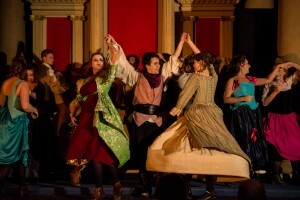 The Music and Acting Company of Bath Spa University performed the revival of The Beggars Opera in 2014 at The Old Theatre Royal. 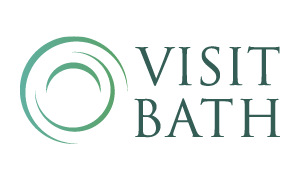 Bath Spa Live and Bath Recital Artists Trust co-produced this stage performance in Bath. Performers passed among the theatregoers before the curtain rose, and during the interval to recreate the bawdy atmosphere of the time. Our in-house caterers also served a traditional breakfast influenced by the 18th Century. The Old Theatre Royal is hopeful that further period productions can be revived on our stage in future years. If you have a production, ancient or modern, that you would like to stage at The Old Theatre Royal, please contact us for more details.